Just like you would not hike the Grand Canyon without water, you should not start a business without a business plan. To survive you need to start off right by having an understanding of the legal aspects of entrepreneurship. The following are suggestions of the sequence and type of steps that may be needed to start a business in Arizona. Your particular business, tax, or legal needs may require that you take different actions or perform them in a different order. The following information is only an overview, and is not intended to provide legal or tax advice or to be a complete resource. We recommend you consult with knowledgeable professionals such as an accountant and an attorney to determine the particular needs of your business. Long before you start building value in a brand you must decide on a business name. When deciding on a name, you will want to see if anyone else is already using the same or a similar name and has any possible prior rights to the name. Deciding on a name can be difficult, but it helps to find an original name if you come up with made-up words for your name. Do an internet search and cross-reference it with the U.S. Patent and Trademark Office website. Someone might have a website but did not register the name with the USPTO, or did register it and does not have a website. 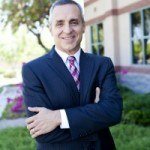 Using a name that is already in use can have legal ramifications, so it is wise to hire a Phoenix business lawyer to perform a thorough name search. A lawyer can help you navigate business name restrictions in your industry and the legal restraints of using a similar name to an existing business. After picking a name, you should take the appropriate steps to protect it as your business grows. You may want to consider registering the tradename with the Arizona Secretary of State and registering the trademark with the USPTO. The structure you choose protects you and your personal assets. Most entrepreneurs choose a limited liability company over a corporation because its structure is more flexible. However, if you are planning on raising funds and eventually going public, you may want to form a corporation. Non-profit corporations have a similar structure to corporations of course, but not for profit. When you file the paperwork to create your business entity, the Corporation Commission cannot legally advise you as to the type of entity you should choose. So, in this step, it is wise to consult both a lawyer and a financial adviser to determine what structure will work best for you and your business. Just as choosing your structure separates your personal and business assets, you will need to always keep your personal and business finances separate. This means opening a business bank account. However, most banks require you to have an employer identification number before you can do so. This number is like the social security number for your business and is essential if you plan to hire employees. You can obtain your EIN from the IRS by filing the appropriate forms. The IRS provides information online on how to obtain an EIN; however, a business attorney can also assist you through the process. What licenses and taxes you need to be aware of will depend on what your service is and/or what products you sell. It is important to check with the Arizona Department of Revenue and other local authorities for state and local tax requirements and registration. Additionally, there may be licensing requirements that you will need to comply with in order to operate your business. Licenses you will likely see are a State and/or City Transaction Privilege Tax License, regulatory licenses, and local licenses. Transaction Privilege Tax licenses are required for sales and use taxes. Regulatory licenses are for specific industries that your business may or may not need. For example, taxis and buses are required to have special licenses to be able to pick up passengers at the airport. This overview is not intended to go in depth regarding the specifics of state and local licenses, so be wise and contact your state and local authorities and consult with your Phoenix business attorney regarding what licenses your new startup will need. Denton Peterson, PC has experienced business lawyers that can guide you through the process. Contact us to schedule a consultation toady.